Birch Wood circular needles in jumbo sizes. 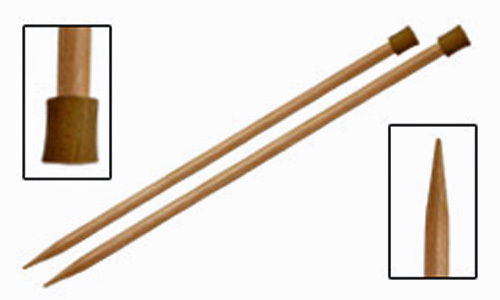 Basix Jumbo needles were created in lightweight and strong birch wood. The handsome natural birch color makes them as easy on the eye as they are on the hand especially when working with today's thick and chunky yarns. The lightness of the wood allows them to be produced in jumbo sizes.